Stars form in the centers of dense molecular clouds . In addition, sometimes the process gets a little help! The rotation of the Milky Way can cause clouds to pile up and collisions between clouds can cause their collapse under gravity (to be discussed when we get to galaxies). 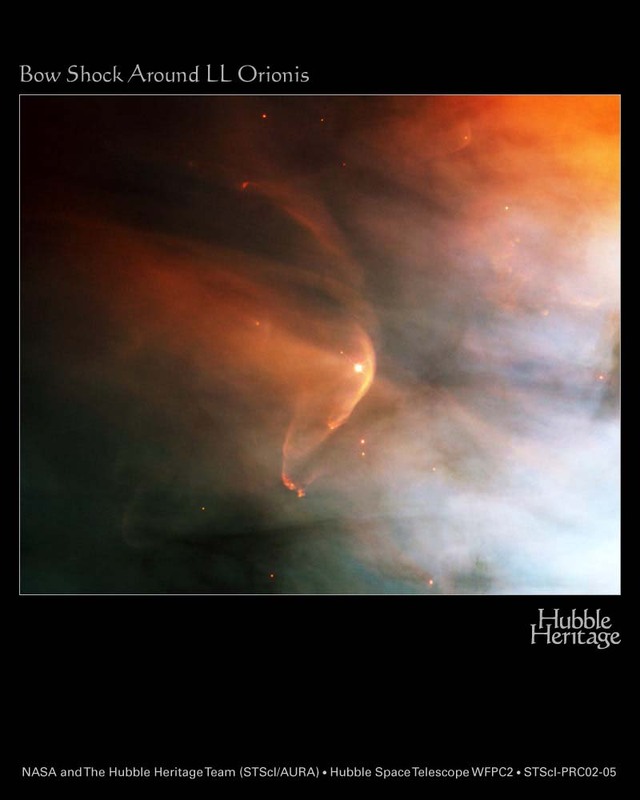 A typical interstellar cloud is supported against collapse by internal turbulent motions. Once such a cloud is "tipped over the edge" and starts to collapse, it reaches a state where gravity can pull the gas together to form dense "cores". These cores continue to collapse, often fragmenting further, until they form star - sized clumps. Once the force of gravity becomes larger than the pressure supporting the clumps, their collapse happens very fast. Eventually the gas gets sufficiently compressed that it is dense and hot enough that the pressure balances the gravitational force, and the collapse stops. This situation is similar to the hydrostatic equilibrium we discussed for the sun. We call these objects "protostars." Because the cloud core that collapses into a star is spinning, even slowly, when it gets down to star size it rotates rapidly - like an ice skater who starts a slow spin with her arms extended, and then accelerates when she brings them over her head. This rotation supports the gas around the equator of the new star as a disk, but the rest of the cloud falls directly into the star. Later, the star ejects some of the leftover material. As this disk spins, it creates a magnetic field that confines this material to a narrow jet. 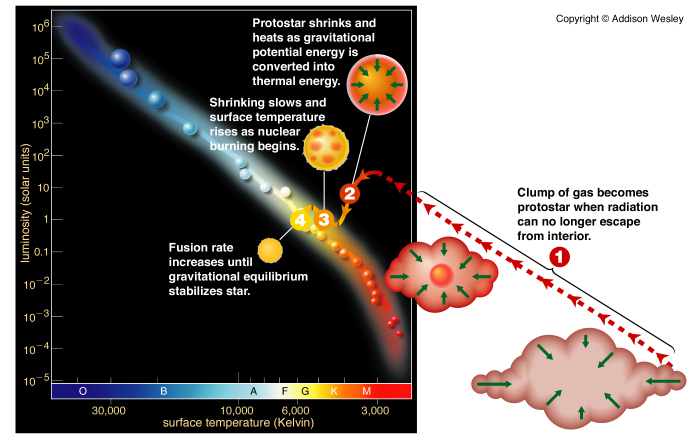 After its initial collapse, the protostar is also likely still to be surrounded by a remnant of the cloud from which it formed. eventually the star completes its contraction to the main sequence, where it begins to burn hydrogen, meanwhile blowing away this surrounding material. 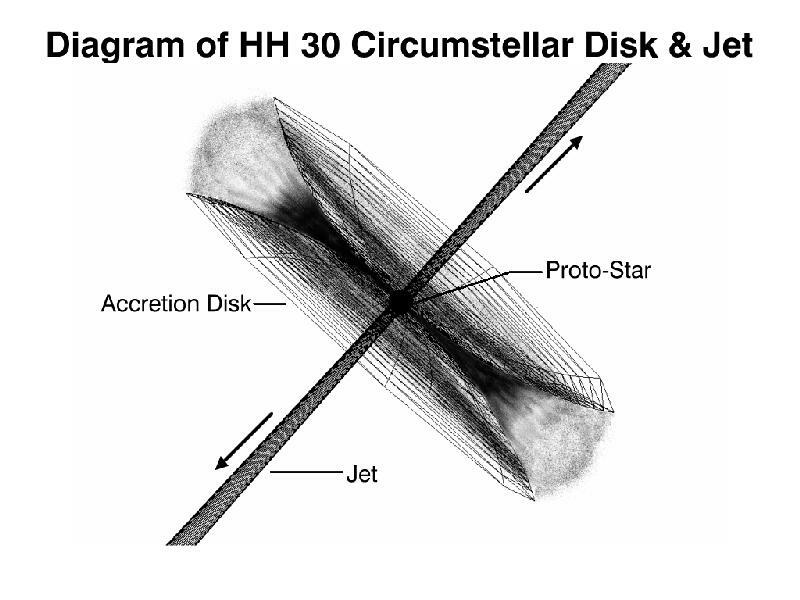 This HST image shows material ejected by the star in the center colliding with more quiescent nearby interstellar gas. It is then observed as a normal main sequence star. Fly through the Orion Nebula again and watch for some of these stages of star formation! On our HR diagram, the young stars heat up at nearly constant luminosity until they joint the main sequence (for example, the curve labeled 1.0 M ). Cloud clumps with .08 M < M < 100 M can form stable, main sequence stars. What happens if the collapsing cloud is too small? If the cloud has M < .08 M , it will contract, heat up, but the central temperature will never reach the 10,000,000oK limit required to start the conversion of H to He. The outer layers get warm, enough to appear similar to cool, dim stars for a few million years, but after that they steadily fade away. Such objects are called brown dwarfs. See the tracks on the HR diagram above labeled 0.01 M and 0.001 M .
What happens if the collapsing cloud is too large? If the mass of the cloud exceeds about 100 M , it will collapse and heat up very quickly. Nuclear reactions occur so rapidly that the star becomes very luminous and blows itself apart -- either catastrophically or more gently by blowing off only the outer layers. 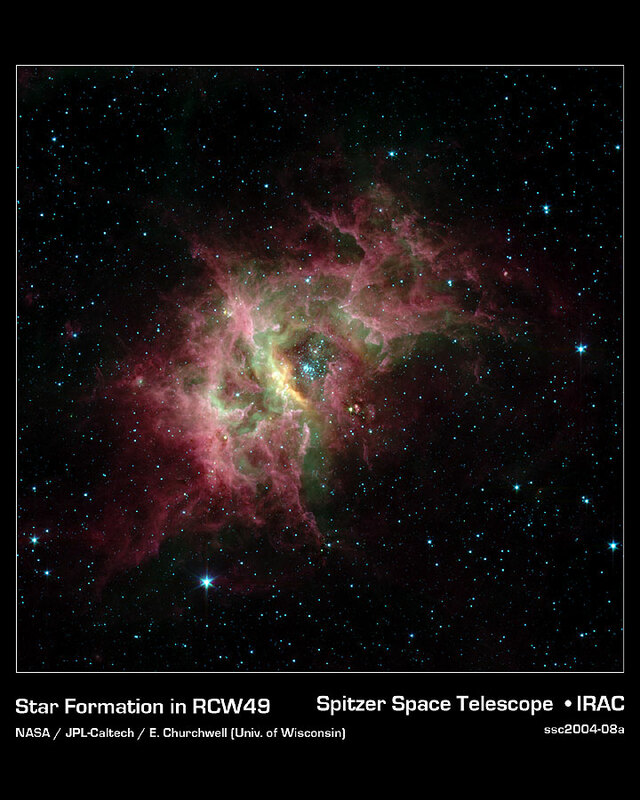 Star formation "makes the Universe go 'round." 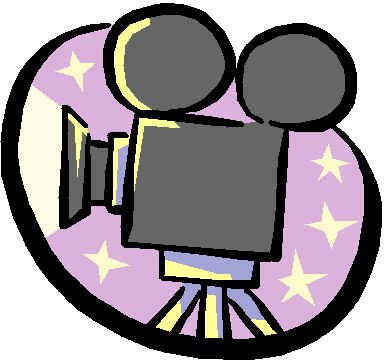 In the following pages, we discuss some of the reasons.